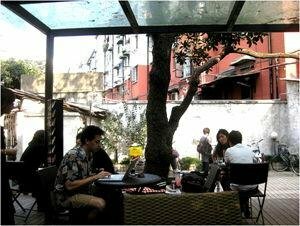 Shanghai has a humid subtropical climate with four distinct seasons. Winters arecold and temperatures sometimes drop below zero. Snow seldom falls. Incontrast, summers tend to be hot and humid. The annual precipitation is 1,200 mm (47 inches). June through to September are the rainy months. From late August till early September, Shanghai is frequented by typhoonsand rainstorms, but they rarely cause any considerable damage. 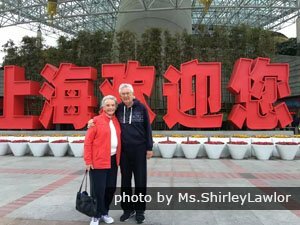 When travelingin Shanghai during these periods, prepare your umbrellas or raincoats. The temperatures are not extreme. The hottest month is July, with an average high of 32 °C (90 °F). The coldest month is January, with an average low of 1 °C (34 °F). 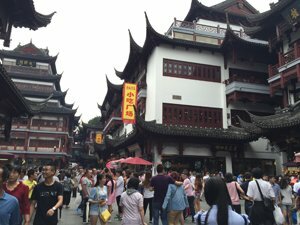 To avoid the heat of summer and the cold of winter, spring (March to May) and autumn (September to November) are the best times for traveling in Shanghai. Weather: Spring is from March to May. Temperatures climb from cool to warm. It is a good time for traveling in Shanghai. The weather feels comfortable with the average temperature at around 15 °C (59 °F). Precipitation: There is moderate rainfall. Clothing: Sweaters and coats are suitable for this season, but prepare lighter clothes for warmer days. Weather: Summer is long: from June to September. It is very hot and wet. July and August are the hottest two months. The highest temperature in summer can sometimes reach up to 40 °C (104 °F). It rains on 11–14 days/month. Typhoons and sudden heavy rains are common. Clothing: It is recommended that you carry an umbrella if rainfall seems likely. Wear summer clothes such as skirts, shorts and T-shirts. Wearing sunglasses and using sunscreen is recommended for those susceptible to burning. 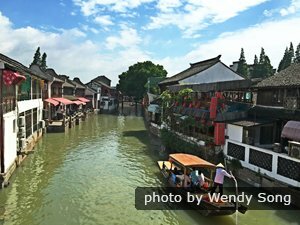 Things to do: Visiting Yuyuan Garden or going boating on the river of Zhujiajiao Water Town is very relaxing in summer. Weather: Autumn is from October to November. The weather is generally sunny and drier. Autumn is the season with sharp and frequent temperature changes. Clothing: Long-sleeve T-shirts and then sweaters or coats are needed as the season progresses. Things to do: The area&apos;s fall foliage begins at the end of this season and continues to early December. It is also the best time for eating crabs. See Best Places to See Fall Foliage in Shanghai. Weather: Winter is from December to February of the next year. Winter in Shanghai is characterized by bitingly cold northerlies and dryness. Temperatures: The coldest period is from late January until early February; usually during the Chinese New Year and Spring Festival. Nighttime temperatures often drop well below zero, but it rarely snows. 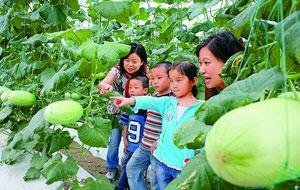 The low temperatures are not as low as in cities in North China, such as Beijing and Xi&apos;an, but Shanghai&apos;s winter shares their character because of the prevailing north wind. The average low and high temperatures in December are 2 °C (35 °F) and 11 °C (51 °F); in January, 0 °C (32 °F) and 7 °C (45 °F); and in February, 1 °C (34 °F) and 8 °C (47 °F). 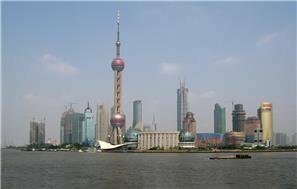 One-Day Shanghai City Tour: Take you to visit Yu Garden and enjoy Huangpu River Cruise. 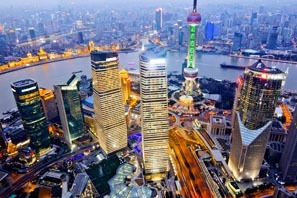 2-Day Charming Shanghai and Watertown Tour : Visit Shanghai&apos;s most popular attractions and enjoy a peaceful water town. 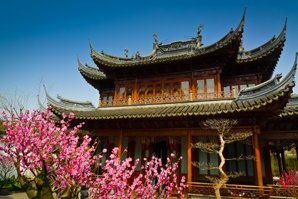 5-Day Shanghai, Hangzhou and Watertown Culture Tour (144-hour visa-free): See the essence of Shanghai, Hangzhou and Nanxun Ancient Watertown.